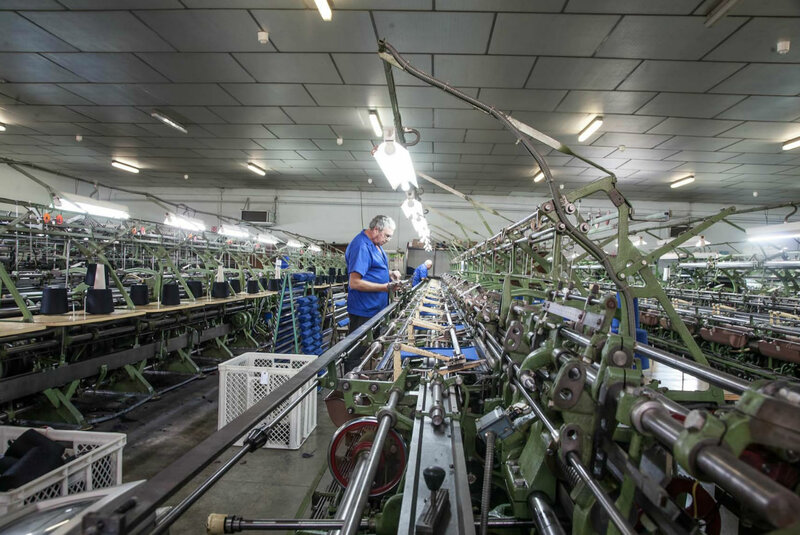 Since its inception, the core business of the cooperative has been performing the whole process of the manufacture of knitting. This process is made up of several operations, such as the preparation of raw materials (such as worsted wool, angora, lamb wool, acrylic fibres, etc. ), the complete weaving, sewing, washing and ironing, through to the delivery of the finished product to our customers, fully ready for their sale and distribution. Our facilities have the latest equipment, designed to give the best service. 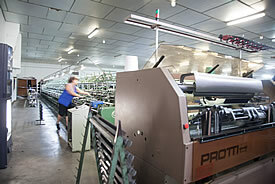 In the knitting section we have COTTON machinery brand CLOSA with 9, 18, 21 and 24 gauges and also electronic machinery brand SHIMA SEIKI, world leader in computerised weaving machines, with 5 and 12 gauges. We also have a 10 gauge integral machine. Currently our cooperative has a 1000 m2. 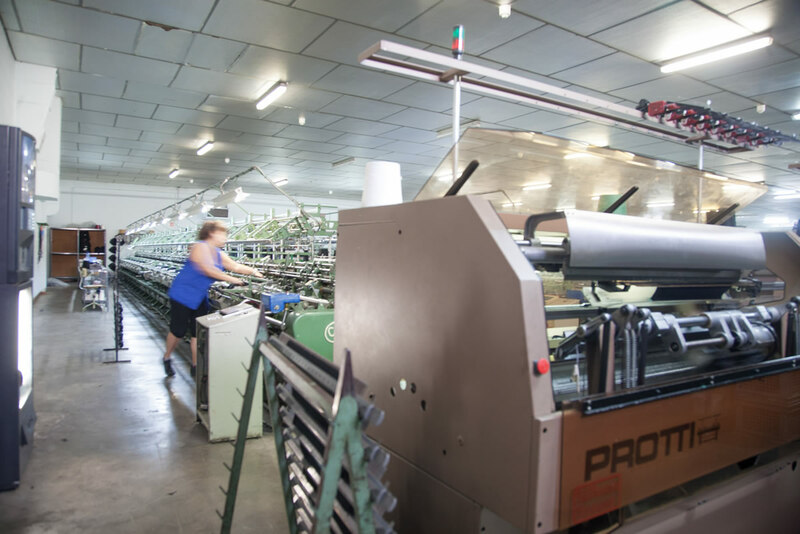 knitting section, a 1000 m2 sewing section and 1000 m2 for washing, ironing, finishing and shipment and in addition also has a 1000 m2 warehouse. Our manufacturing capacity ranges between 800 and 1000 pieces a day depending on the difficulty of the various models. All of them are made by specialised personnel within our facilities, in order to preserve the highest quality in all manufacturing processes. During our forty years in the industry we have been working and still work for leading brands in the domestic and international market such as Burberry, Marithé Francois Girbaud, Genfins, Lacoste, Pierre Cardin and El Corte Ingles, among others.